When we heard that two former TEDMED speakers, Drs. David Agus and Anthony Atala, had been awarded an NIH grant to develop the first-ever integrated bioengineered/computational model of metastatic colon cancer, TEDMED investigated the backstory of their unique collaboration. It turns out the two met at TEDMED, which makes us proud; our mission is to be a petrie dish in which minds from many realms can mingle and imagine entirely new phenomena. The Agus/Atala collaboration is one example of many — a book arose from a chance meeting in the mens’ room at one TEDMED – and has the potential to make a huge impact on human health. We asked David Agus to explain how it all came about. Can you describe how you and Dr. Atala got the idea for this project? I heard his talk, and he heard mine, and we met at a speaker reception – TEDMED is also very much about what happens between the talks. When you speak at TEDMED, you’re presenting so the general audience can understand. But when the two of us got together, we were talking about not just where the technology is today, but where could it go in the future. TEDMED has always been viewed as an organization for presenting big ideas about science and medicine. But it’s also an organization for progress. You get people in the room, you give them a substrate — normally a glass of wine — and let them go, and things happen. What drew you together to work on this? Listen, we’re both nerds, we’re both into science, but we’re also both clinicians who take care of patients, and that combination is unusual. We’re also both driven by seeing people dying from disease. It took a couple of years for this project to come to fruition, but both of us are very fortunate to have remarkable teams to help us do that. Many organizations don’t have the resources to do the pilot experiments and to take the risk. What does it take to get researchers from various fields to come together on something like this? Are other critical areas making strides? For good or for bad, cancer doctors are willing to take a lot more risk than those in other areas. The cancer field is on the forefront of change; the patients want to take more risk, and regulatory agencies have given us the leeway to do so. We don’t have a choice. There have been over a million published papers on cancer; billions of dollars spent on research. Yet, our understanding of disease metastases has made very little progress. We’re obligated to do things differently. For a more chronic disease like Alzheimer’s, risk taking has a different scenario. Will current students of science and medicine have an easier time of crossing bridges for collaborative discovery once they begin their careers? The notion of cross domain thinking, and getting a physician and mathematician and stem cell scientist together is novel and new. Science rewards only the first author and last author on publications, and we’re talking about a team here of six scientists. Who’s going to get credit? We have to push change. What have been some of your favorite TEDMED talks? One experience that truly changed me was hearing Jay Walker talk about the history of the flu. I was shocked; I thought it would be the goofiest presentation in the world. Yet it changed the ways I’ve thought about things and impacted many things that I think and what I write about. I’ve started going back to primary sources and the historical side of medicine, whether with Hippocrates and epidemiology, or the plague in London. Doctors take care of patients and create observations that may be even more valuable today. Back then, we had hours to observe, and we’ve lost that power. Anecdotes and stories are all we have to go on in medicine, and these are stories we need to pay serious attention to. Have you started other collaborations at TEDMED? For me, it’s about the relationships I’ve developed, a broad network of individuals whom I now talk to on a regular basis who have ideas that inspire me. For example, Danny Hillis and I met separately at TEDMED, and it’s led to a lot of collaborative work. When I go to a cancer meeting, it’s only cancer doctors there. The beauty of TEDMED is that we really get people from many different domains coming together. It may not be a direct influence – you do this part of a problem, and I’ll do that — but hearing how others from different disciplines solved problems changes how you approach your own. Using three-­‐dimensional organ creation, three-time TEDMED speaker David Agus of the Keck Medicine of University of Southern California (USC) will lead a team that aims to discover clues to metastatic cancer growth by developing a first-ever integrated bioengineered/computational model of metastatic colon cancer. Agus is the principal investigator of a $2.3 million, four-­year “Provocative Questions” grant awarded recently by the National Cancer Institute (NCI), a division of the National Institutes of Health (NIH). The project title is “An Integrative Computational and Bioengineered Tissue Model of Metastasis.” Agus is a pioneer in computational cancer modelling, particularly in the area of proteomics. Co-authoring the study is TEDMED 2010 speaker Anthony Atala, MD, professor and director of the Wake Forest Institute for Regenerative Medicine (WFIRM) and chair of the department of urology at Wake Forest University. His team engineered the first lab-grown organ to be implanted into a human — a bladder — and is developing experimental fabrication technology that can “print” human tissue on demand. The first phase of the project will be to calibrate a model with data from bioengineered liver tissue. Phase two will subject the growing tumors to physical changes likely to affect them in the human body, including alterations to oxygenation and drug treatment. In the third phase, the team will compare simulations of tumor growth in actual patients with outcome data from these patients. USC co-­authors include Heinz-­Josef Lenz, M.D., professor of medicine and preventive medicine and associate director for clinical research and co-­‐leader of the Gastrointestinal Cancers program at the Keck School, as well as Paul Macklin, Ph.D., assistant professor of research, and Dan Ruderman, Ph.D., assistant professor of research medicine, at the Center for Applied Molecular Medicine. Also co-authoring from WFIRM is Shay Soker, Ph.D., professor. The NCI Provocative Questions project was launched in 2012 and is based on 20 important questions from the research community, intended to stimulate researchers to seek out especially effective and imaginative ways to study cancer. According to the NCI, the questions are categorized into five themes: Cancer prevention and risk; mechanisms of tumor development or recurrence; tumor detection, diagnosis and prognosis; cancer therapy and outcomes; clinical effectiveness. 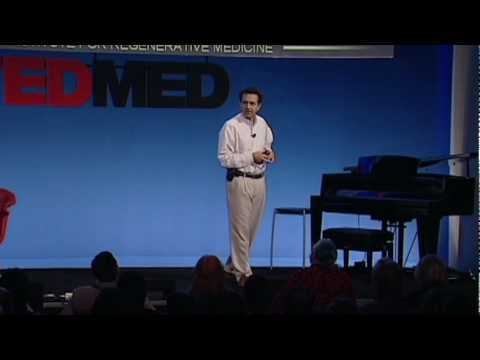 Anthony Atala talks at TEDMED 2010 about growing organs in the lab. With the recent news about Angelina Jolie’s double mastectomy due to a faulty gene, cancer prevention — and the lengths to which it should go — became an even hotter topic in healthcare, grabbing at least 15 minutes of frenzied public attention about genetic testing and breast cancer. Cancer took center stage at TEDMED 2013, too, as physician and author David Agus joined TEDMED curator Jay Walker to explain, as Agus told us today, why “cancer is not something the body gets, it’s something the body does.” In other words, most of us are living with cancerous cells at any given time; it’s our body’s environment that decides whether they will multiply and flourish into disease. Agus is in favor of widespread genetic testing, particularly in cases of a family history, but in context. “We’re in favor of getting all the information we can to help make decisions. Not that everyone should go out and have preventive mastectomies; BRCA1 mutations only cause 5 to 10 percent of all breast cancers. This is a small piece of the puzzle of information, but it’s an important piece,” he says. What testing can do for us, he says, is help influence daily behavior. Agus talked more about the issue on CBS Today and yesterday published an op-ed in the New York Times about the cost of a gene test. He spoke at TEDMED 2011 about redefining cancer. When is an aspirin a day good public health policy? Should physicians be mandated to prescribe a daily aspirin as preventive care? In an op-ed in today’s New York Times, two-time TEDMED speaker David Agus talks about when, if ever, encouraging proven preventive behavior should be made public policy, similar to New York City Mayor Michael Bloomberg’s restrictions on trans fats and soda sizes. The data are screaming out to us. Aspirin, one of the oldest remedies on the planet, helps prevent heart disease through what is likely to be a variety of mechanisms, including keeping blood clots from forming. And experts believe it helps prevent cancer, in part, by dampening an immune response called inflammation. So the question remains: given the evidence we have, why is it merely voluntary for physicians to inform their patients about a health care intervention that could not only help them, but also save untold billions in taxpayer dollars each year? 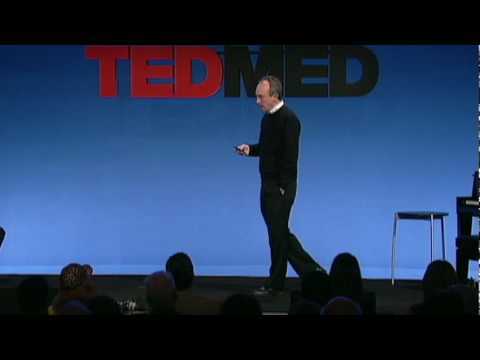 And below is Agus’s speech at TEDMED 2011, in which he talks about the latest research on what works to prevent most major diseases. Today is the inaugural installment of our new blog series, TEDMED Visionaries. We’ll feature in-depth Q&A’s, interviews, podcasts, guest posts and more from our speakers and from leading innovators in the converging worlds of tech, health and medicine. Our first guest is David Agus, M.D., oncologist and author of the bestselling book, “The End of Illness,” who spoke at TEDMED 2011. Q: In your book, and in your talk at TEDMED, you mentioned doctors recommending potentially harmful interventions – like smoking, margarine and vitamins – without having data to back up their advice. Why does that still happen, in today’s info-rich age? How could doctors share knowledge better? Agus: Many times we (the medical community) make recommendations prematurely before prospective data is available. The realization that we are a complex system means that any intervention will change the system, and may do so with a negative health consequence. My hope is that with the digitalization of medical records we will be able to learn from our actions in real time and improve medical care iteratively. Although we like to think that we live in an info-rich, high-tech world, there’s still much about the human body that we just don’t know or understand yet. When a doctor makes a recommendation, it’s with the best intentions, but medicine is still very much an art rather than a science. In the future, that will shift as technology supports the exchange of data-driven wisdom among doctors, which will then inform their decisions. Q.As we head into a future that increasingly uses proteomics and the personal diagnostic tools you envision, how will physician training have to change to accommodate these advances, if at all? Agus: I think a call for a new way of training physicians is necessary. We need to modernize our medical education system to reflect new understandings and technology. At the same time, we have to be aware of the “human” part of medicine and not lose that important art. Q. Proteomics and other diagnostic tools may give us a great leap forward in treating some of our most pervasive ills. What, in your opinion, will be the toughest to crack in terms of having a cohesive view of the disease mechanism? Depression? Cancer? Obesity, or Alzheimer’s? Agus: It’s hard to grade disease complexity, but I think all diseases deserve new thinking and application of technology. As I state plainly in my recent book, it’s quite possible that we already have all the drugs we need to treat the vast majority of diseases — even the ones that entail a breakdown of the system such as cancer or Alzheimer’s disease, and aren’t caused by an invader. We just don’t know how to use this library of drugs (method), how much to use (dosage), and when (schedule). New techniques for collecting health data in the future will hopefully inform this idea. Q. What is a timeline by when we might see proteomics testing become common? In fact, when will genetic testing become standard as a baseline health metric? It seems that it is no longer prohibitively expensive. Agus: Proteomics tests exist today—we use them routinely (e.g., prostate specific antigen to detect signs of prostate cancer, pregnancy tests, inflammation tests, etc.). Newer proteomic tests that will benefit from the advances in technology will be introduced in the next several years. In terms of access to these technologies, as well as more widespread use of genetic testing across the general public, I presume that will happen as the technologies become cheaper and we strive to change our healthcare system. Q. CDC employees carry statins and meat tenderizer to reduce inflammation, should a virus like H5N1 strike, and to neutralize toxins. Do you carry any remedy or health talisman with you at all times, other than wearing comfortable shoes? Agus: Statins can reduce inflammation, and meat tenderizer can be used to degrade protein-based toxins (if something bites you). I don’t carry anything myself, but I do wear comfortable shoes that don’t hurt my feet (to reduce my levels of inflammation! ), I do take a statin and aspirin, and I wear a Nike Fuel Accelerometer on my wrist. Q. Your book strongly advocates taking personal responsibility for our health. Many of us know what’s good for us, though, and still fail to do it. What’s the missing link? Agus: I think we need to all better understand the long-term consequences of our actions. I wrote the book to make a difference in this regard. It all comes down to incentives — that’s the missing link. I can tell you that you have a 30 percent chance of becoming obese based on the general population, which is probably meaningless to you. But if I could tell you that your risk of becoming obese in your lifetime is 60 to 80 percent based on your genetics, this would likely mean something, wouldn’t it? That might be enough to inspire you to pay more attention to the lifestyle habits that factor into your weight. That might be enough to motivate you in ways you never thought possible to control your waistline. That’s the power certain technologies such as genetic testing can have on individuals. Another way to look at it: If you knew that your personal risk for having a heart attack in your life was 90 percent, you’d probably do everything you could to treat your heart well. Hearing another umbrella statistic such as “heart disease is the leading killer in our country” has little impact, if any. But learning that your genetic profile puts you in a higher-than-average risk group for suffering from a heart attack speaks much louder than general statistics. We may not wholly understand complex diseases, but we can stop them before they start, says oncologist and author of the new book, “The End of Illness,” David Agus. 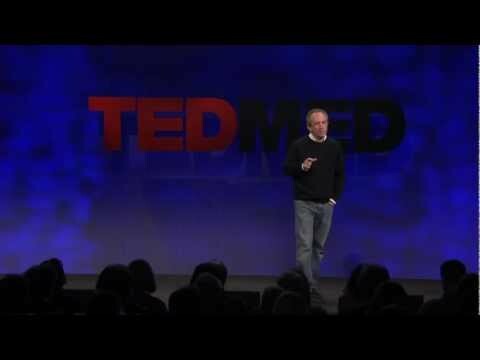 In this talk from TEDMED 2011, he proposes a new preventive approach to healthcare, boosted by genomics, technology and a hard look at existing research data.